Education Minister Doctor Gale Rigobert says the authorities have tabled for discussion consideration and implementation, a programme that will address security issues in schools. She was questioned bu reporters on the issue of school security outside parliament Tuesday. Rigobert spoke against the backdrop of a break in Sunday at the Gros Islet Secondary school. She recalled that a few weeks ago the first cohort of watchmen who were trained by the Royal Saint Lucia Police Force were outfitted with their batons and uniforms. Recently, 25 watchmen took the oath of office as Special Police Constables, administered by Police Commissioner, Severin Moncherry. Rigobert told reporters that a second cohort will be trained. But she explained that other measures will be considered and implemented, including electronic security systems. Everyone knows how to do away those petty crimes but we all are too coward to do a thing about it. It is sad when an island in such great great need for both educational as well as healthcare resources can be further compromised by thugs who lack education and or discipline. This is extremely disheartening. 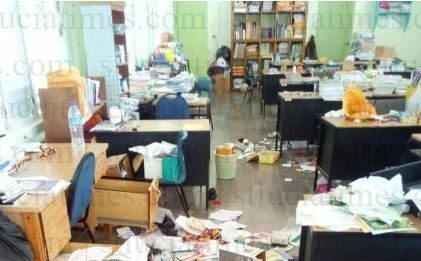 I have known individuals who have used their hard earned money, manpower and resources to help in St. Lucia’s educational system …this sickens me.